Barwick-in-Elmet is a village just 7 miles (11 km) east of Leeds city centre. It is one of only three places in the area to be explicitly associated with the ancient Romano-British kingdom of Elmet, the others being Scholes-in-Elmet and Sherburn-in-Elmet. All these areas are served by the Leeds Stove Centre. Here at the Leeds Stove Centre, we are now widely acclaimed as one of the leading suppliers and /or installers of Multi Fuel Stoves to the Barwick-in-Elmet area. Our grand range of stoves in a variety of designs and styles, ranging from modern stoves to traditional stoves is so large that you would be pushed to find a better supplier locally. Many of our high quality multi fuel stoves are available to view in our showroom in Leeds which has just undergone a transformation to make it larger. A visit to our showroom will enable you to gain an insight into how stoves operate, how they would look in your home and the options available. At the Leeds Stove Centre we pride ourselves in supplying quality stoves at the best possible prices. So, although we supply stoves from the leading manufacturers such as Burley, Esse, Stovax, Morso, Dik Guerts and more, we also have stoves from brands you may never have heard of! 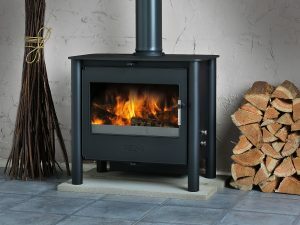 With such a huge choice of brands and with a variety of designs to select from, you should be able to locate the perfect stove at the Leeds Stove Centre. Also, as we employ our own in-house HETAS registered installation team, we can supply and fit your stove and any flue system. This makes it a one-stop shop for you with no need to worry about third parties or sub-contractors. Please call us on 0113 255 5622 for any further information you may require or to book a free installation survey.